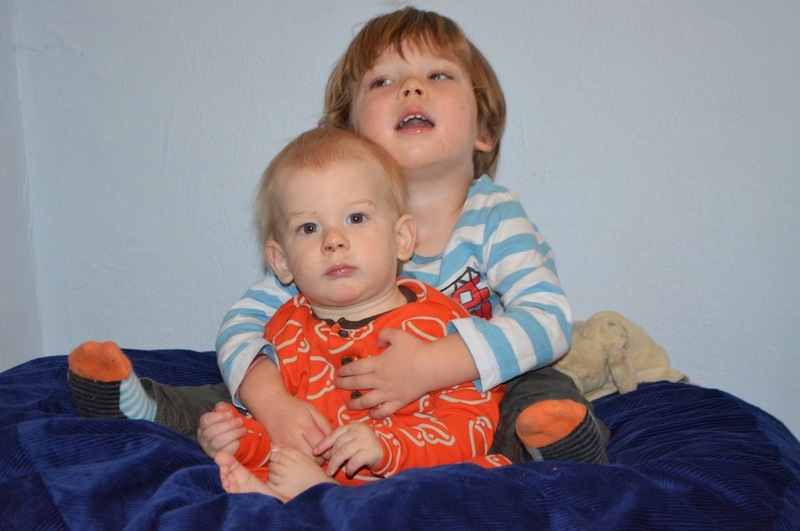 Dylan has a beautiful bedroom, it is light and calm and a great size for a child. Now that Archie is more mobile, I think Dylan loves having a little retreat too, somewhere he can go for some quiet time, to play with toys where he doesn't have to worry about one being chewed and to have some calm time when he is tired. 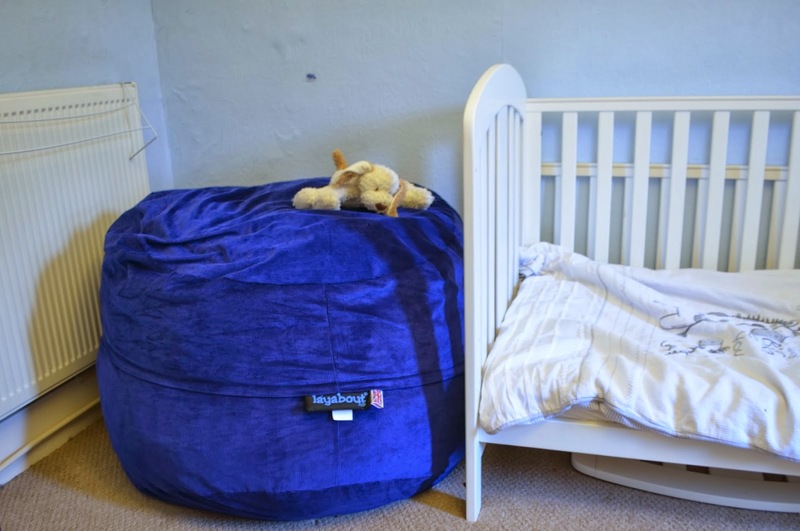 We were sent a gorgeous bean bag from my layabout and it is the perfect addition to his room. 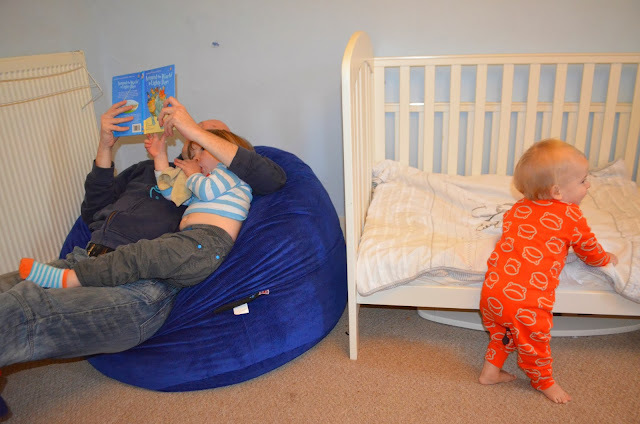 They offer a variety of sizes but we went for a 3ft beanbag which is perfectly big enough for him and I to curl up and read a book together without being too big that it takes over the room. If the beanbag had just been for Dylan then I would have gone for the 2ft, but this way it is perfect for bedtime stories as well. 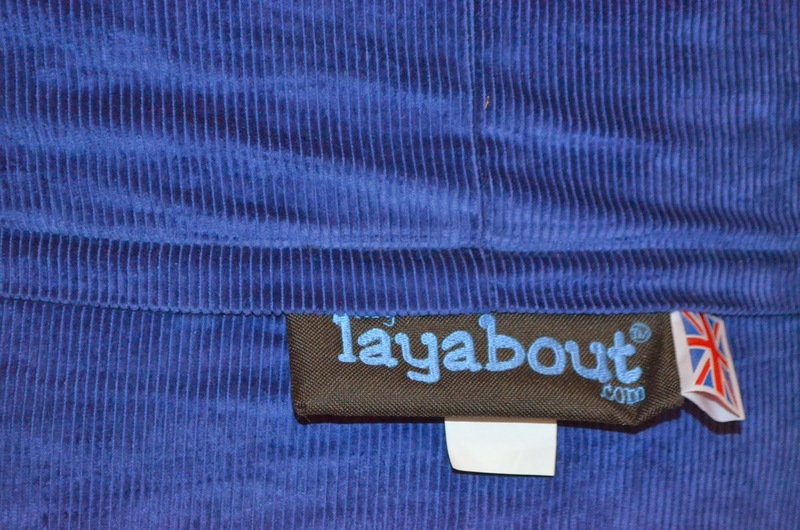 The layabout is thick and soft and very supportive. I could quite happily curl up for a sleep on there! The inside is full of durable foam clusters and it keeps its shape well, bouncing back even after the bloke has been lounging. 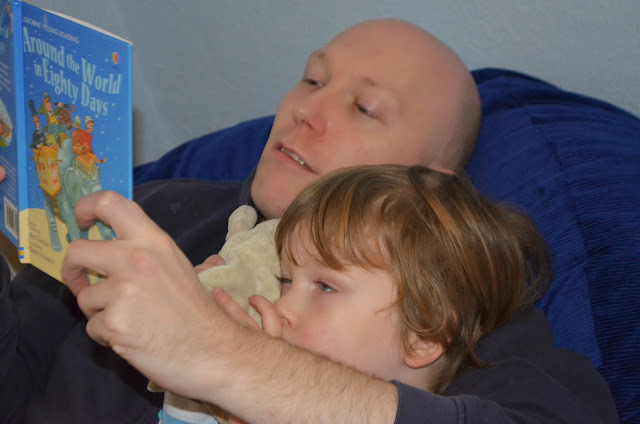 Dylan can climb on by himself and loves sitting with his favourite books, reading aloud to his toys. Archie doesn't stay still yet long enough to do anything but he loves walking round it! There is a choice of materials and we went for a blue cordorouy as it looked hardwearing enough for a toddler and it was a great fit in Dylan's room. If you are looking for something more luxurious though, the faux fur is unbelievably soft and fluffy (we were sent a sample and I may have sat stroking it for a while) and the moleskin would be my fabric of choice, soft and smooth. 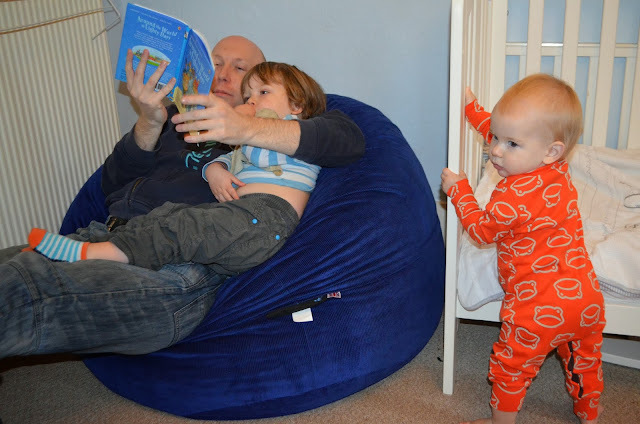 We are really impressed with this beanbag and Dylan loves his little reading corner. The layabout is definitely something that will grow with him and I can imagine as a teenager he will be laid across it with a playstation controller in hand! The covers are removable so you can always update to match a room redesign and it makes them much easier to wash. The 3ft layabout retails at £159 but if you want something a little smaller then the 2ft beanbag is perfect for kids at only £109. If you are anything like the bloke, then there is even a 6ft version that may take your fancy (he is determined that we trade it our bed for a giant beanbag now that we have seen how amazing this 3ft version is. I love these, saw the HUGE 6ft one last year in strokable fur like you say and was sorely tempted! I'm considering re-decorating Ethan's room for his 10th bday to make it more grown up and would make a great addition!